This leadership program takes a unique perspective on the hot topic of management skills. 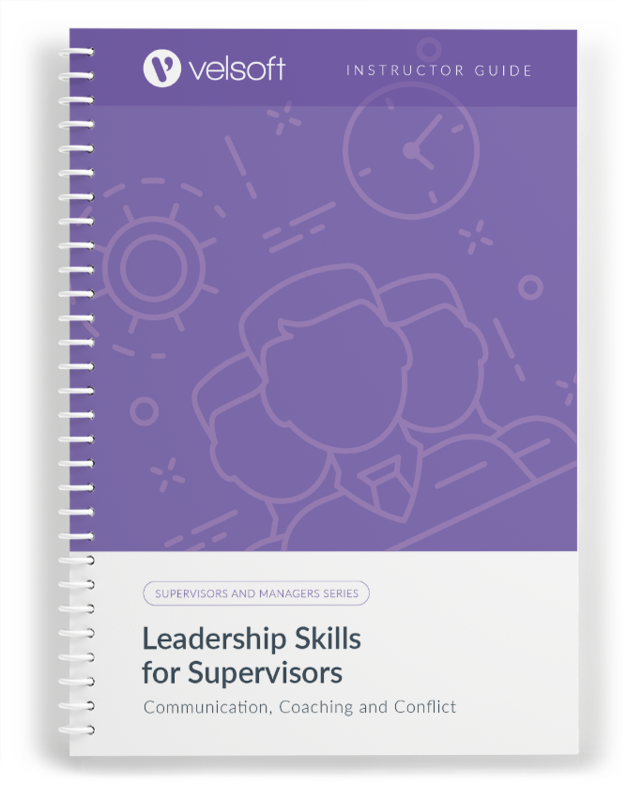 We’ve designed a one-day course that gives participants the essentials of leadership: communication, coaching, and conflict. 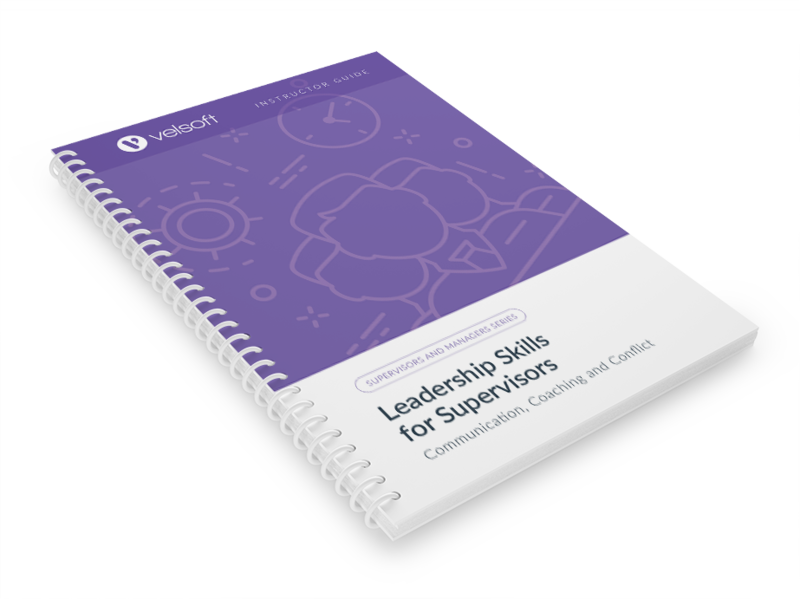 Velsoft’s signature leadership assessment is also included. 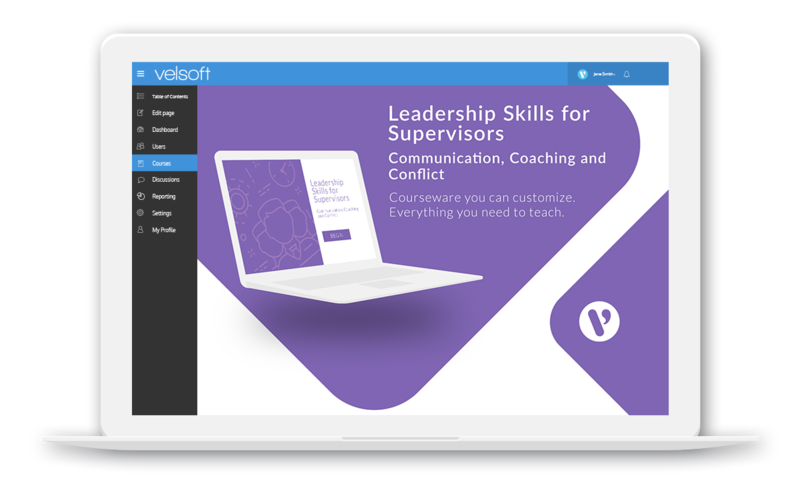 Like all Velsoft training materials, when you purchase this leadership course you’ll receive everything you need to deliver an exciting program. Pre-assignment? Check! Instructor’s guide? Check! PowerPoint slides? Check! Student manual? Check! We even offer this course as eLearning. Check out a sample today! Leadership Skills for Supervisors is one-day course that provides your students with a comprehensive overview of the knowledge and skills need to ensure the viability of businesses in today's world. The course material applies equally to product and service-based enterprises. Session Three: What’s Your Type? How About Mine?